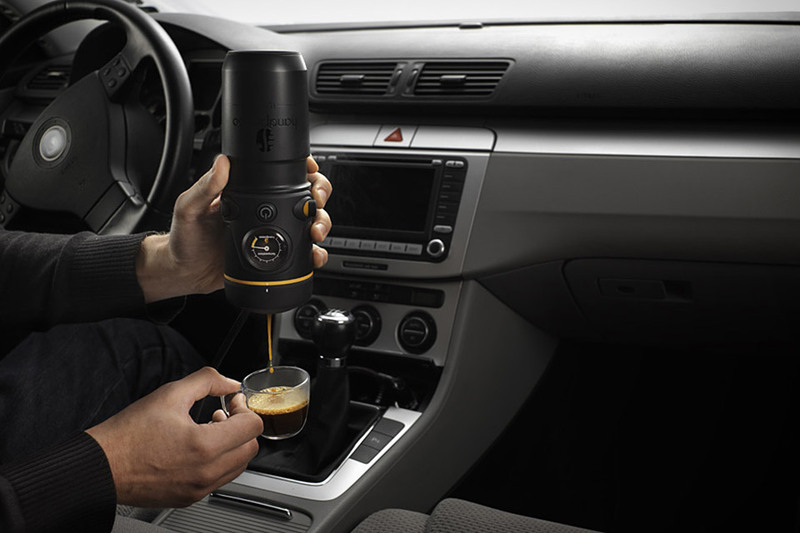 The Handpresso Auto portable espresso machine by Handpresso allows its users to enjoy espresso on the go. This little espresso machine will brew a delicious pick me up in just 2 minutes time. It's Very easy to use just add water, an espresso pod of your choice and plug it into your cars 12V cigarette lighter socket.